Learn how to request time off (Employees and Admins). 2.) 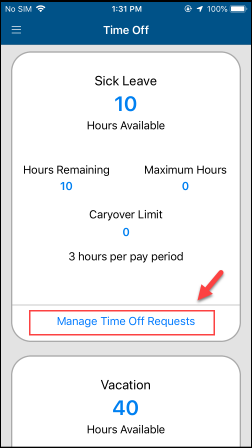 Click the green "Request Time Off" button. 3.) 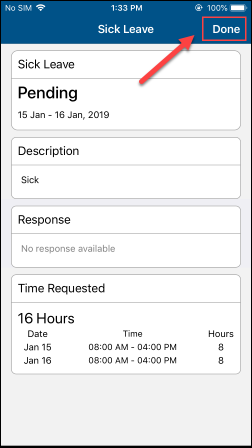 Fill out the form then click the button at the bottom called ”Save Request.” You'll need to select the date(s) and hours off, and can add a note to the request. An email will automatically be sent to the person designated as the manager, or by default the ClockShark Admin. The requester will receive an email alert notifying if it has been accepted or declined. 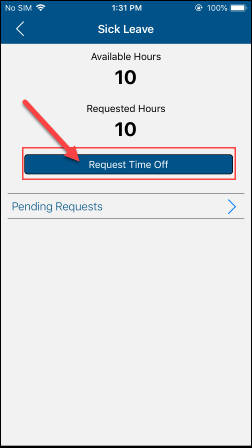 Employees can view Pending, Accepted or Declined requests in the “My Time Off” tab. 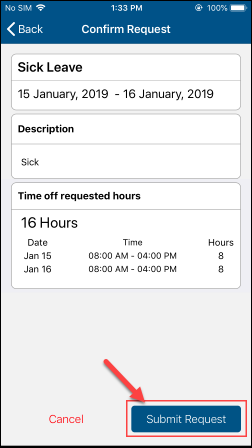 Similarly, Admins can go to the "Paid Time Off" screen to check on any requests, or to view all approved and taken time off. 1.) Head into the sidebar menu and click “Time Off”. 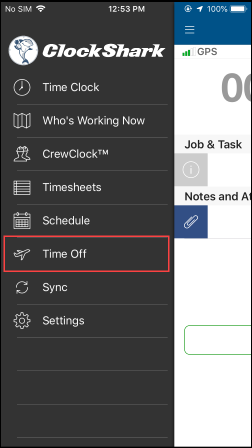 The “Use Time Off” feature in Admin Settings must be enabled to see this. 2.) Click “Manage Time Off Requests” on either the Vacation or Sick leave plan. Contact your administrator to learn the difference between these plans or with other questions on which one to choose. Here, you can review how many hours are available to use, the carryover limits and how much time per pay period that accrues. 3.) Click “Request Time Off”. 4.) 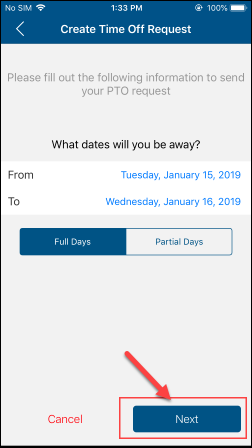 Select the dates you want to request time off and either choose “Full Days” to automatically take 8 hours per day of paid time off or “Partial Days” to customize how many hours per day you would like paid time off. Then click “Next”. 5.) (Optional) Write a description for your time off. 6.) Review your request, then select “Submit Request”. An email will automatically be sent to the person designated as the manager, or by default the ClockShark Admin. The requester will receive an email alert notifying if it has been accepted or declined. 7.) 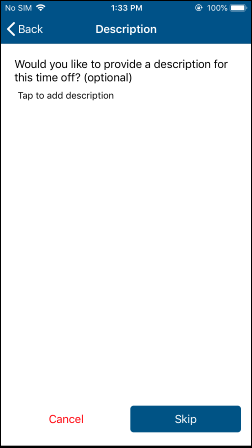 Click “ Done” in the upper right-hand corner to exit the screen and your finished.